Rx Depot USA, one of the leading cannabis packaging solutions in North America, proudly announces the expansion into new and uncharted markets within the country that allows medical or recreational cannabis. Rx Depot is happy to extend services around the country by offering innovative, retail-friendly, tested, and 100% compliant solutions for cannabis orders of any size. In line with the growing demand for cannabis, the company recognizes the increased need for packaging solutions that are trustworthy, reliable, and preserves the high quality of the product. These conditions can be difficult to meet and maintain during transport. Rx Depot specializes in providing efficient, compliant, and custom services that can handle orders of varying sizes and specifications. General state requirements mandate cannabis products to be in an opaque and child resistant container, while keeping contents fresh as it travels from shelf to consumer. With the recent gubernatorial results in New Jersey ushering in the possibility of marijuana legalization, this news becomes even more timely. 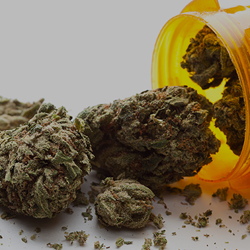 Rx Depot is happy to extend services around the country by offering innovative, retail-friendly, tested, and 100% compliant solutions for cannabis orders of any size. For inquiries and more information, email info@rxdepotusa.com, or call 1-844-RXDEPOT today.